The academic training programme for the second group of scientist-astronauts was implemented in October 1967, and was completed the following February. The training schedule was aimed at developing a level of competence in each of the men across a variety of scientific and technical subjects relevant to the space programme. Experience gained in these subjects would also prove valuable in reinforcing in each of the scientists the scope of problems related to space flight. The selection of course material was critical, due to the overall diversity and level of academic background in the group, and two basic requirements were imposed: course matter involving the least repetition; and materials selection at a level of complexity and interest commensurate with the men's abilities and backgrounds. Table 2. Group 6 Academic Training Programme October 1967-February 1968. One of the instructors in this programme was Karl Henize, who covered the stellar and galactic astronomy fields. The latter was a new course that was aimed at more in-depth training for future assignments as observers in the Earth Resources Program during AAP. 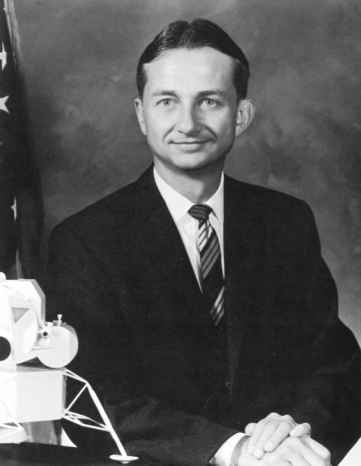 Additional notes in the Michel collection at Rice University indicate that AAP mission plans actually increased to fifteen hours and was delivered by AAP Branch Chief Astronaut Al Bean, AAP Branch assigned astronauts Jack Lousma, Bruce McCandless and Paul Weitz, and scientist-astronauts Owen Garriott and Ed Gibson. In addition, Jack Schmitt instructed the new astronauts on Advanced Lunar Exploration mission plans under AAP. • Morehead Planetarium (University of North Carolina); 2 days (12-14 November 1967). • Launch operations, KSC, Florida; 2 days (22-24 January 1968). • Launch vehicle familiarisation, Marshall Space Flight Center/Michoud Facility; 3 days (13-15 February 1968). • Acceleration familiarisation, 1 day (27 February 1968). This was attended by Allen, Chapman, England, Henize, Holmquest, Lenoir, Musgrave and Parker. Thornton never completed survival training due to delays in his qualification from flight school. • Desert - Fairchild AFB, Spokane, Washington. The actual site was in the Oregon desert just south of Pasco in Washington State; summer 1969.